Stop working AROUND your software — start having your software work FOR you! With custom builds starting at just $290, I can make the perfect Inventory Management system for your specific needs. Need access to the same database from multiple computers? I can do that! Let me quote you a custom build that will allow multiple computers to simultaneously connect to a single database! I’ll offer step by step directions for installing SQL Express, or you can use your existing SQL Server. You can even keep your pictures on the server to make sure everyone sees what you see! My rates will likely STILL be cheaper than most other off-the-shelf software! Have custom fields you need added? I can do that! You tell me what fields you need, and I’ll quote you a custom build will have EXACTLY what you need! Need a Serial Number field? Don’t want the cost field? You tell me what you want and don’t want, and I’ll make it happen! Looking for multiple user control? I can do that! Let me quote you a custom build that will allow multiple users that will record who’s doing what. 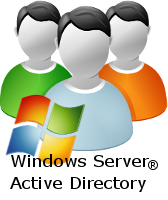 I’ll set up user groups with different permissions for each – don’t let Group A delete anything, only let Group B check in and out items… I can even integrate with your Active Directory Domain if you’re running Windows Server® – no need to set up users twice! You can even use that list of users that are allowed to check items out – Automatically fill a drop down box with valid users, and only manage them in one spot! The possibilities are endless when you tell me what you need! I can do that! Want to be able to get alerted when stock falls below a certain quantity? Want to alert the user that their checked out item is overdue? Let me quote you a custom build that will give you the notification options you need! I can do that! Don’t want to be able to turn on / off fields? Need to completely remove the option for deleting Check Out Records? Let me quote you a custom build that will give you the complete control you need! You are able to install your copy on as many computers in your location as you want! I’ll send an invoice through my client portal, and you can pay with credit card or PayPal online, or via purchase order sending a check. The opportunity to make it your own! So go ahead… ask for a quote! The quote is free, and there’s no obligation!